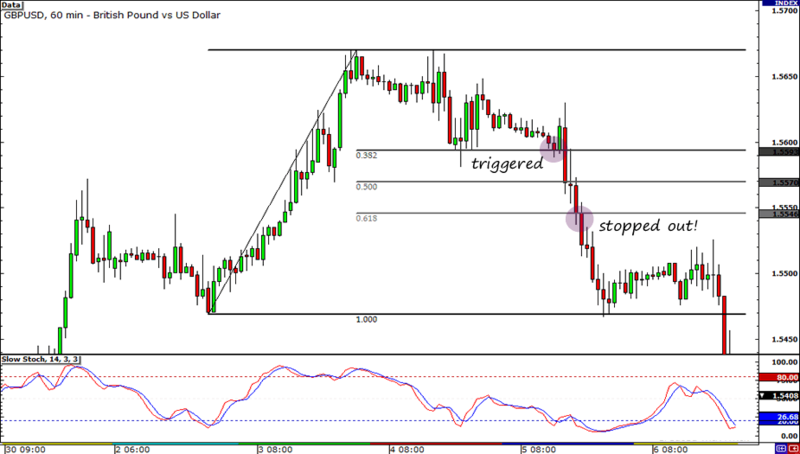 Just a couple of hours after my trade got triggered, GBP/USD plunged down the charts and stopped me out. Boo! Oh well. I hope everything turns out better from here on out. I want to start the year on a good note, so I’ve chosen a trade setup that I think has a high probability of winning. 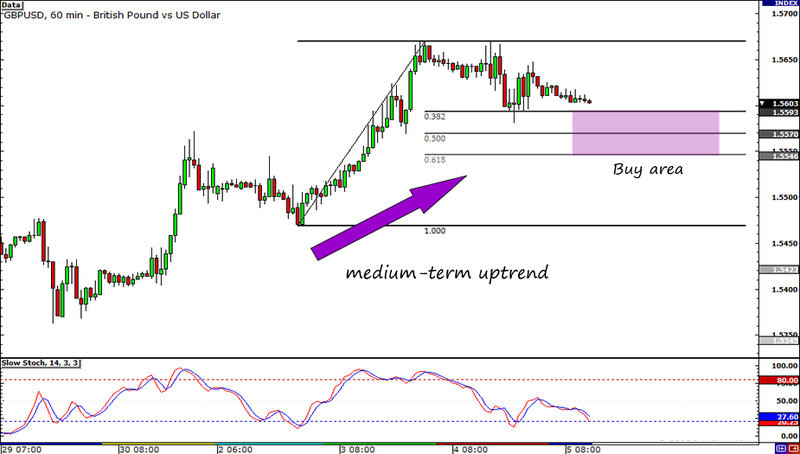 As you can see on the hourly chart of GBP/USD, the pair has been on a medium-term uptrend. It has made “higher highs” and “higher lows.” With that said, I’m joining the bulls’ camp! I know, I know. Risk aversion has been haunting higher-yielding currencies lately. However, I think it’s noteworthy to mention that news reports causing investors to flee to the safety of the dollar and the yen are from the euro zone (read Pip Diddy‘s EUR commentary today), and NOT the U.K. In fact, we’ve gotten a couple of positive reports from London this week. The U.K.’s manufacturing and construction PMIs for December came in better than expected. And so, I’ll be keeping my fingers crossed for the services PMI to top expectations too, and hopefully spark a pound rally. I’m looking to buy the pair at 1.5590, which is somewhere between the 38.2% and 61.8% Fibonacci retracement levels as the Stochastic shows that the pair is almost overbought. If I get triggered, I’ll set two profit targets. The first one I will place at the most recent swing high and the other I will place at 1.5750. As for my stop, I’ll place it 1.5540. Buy GBP/USD at 1.5590, SL at 1.5540, PT 1 at 1.5570, PT 2 at 1.5750.